It’s been suggested that I write about what I’m most passionate about. For me, that would be traveling this great country of ours. The U.S.A. has more to see than you could possibly cram into one lifetime. Ideally, most of us would love to leisurely amble about the country in an ultra deluxe motorhome sporting all the luxuries of home. Unless you have CEO printed alongside your name on the plate attached to your office door, this can be a hard goal to reach. By federal income standards, reaching the median income level has always been an illusive goal for me. How has that affected my yearning to wander? Not one little bit. I’ve logged most of a million miles, crisscrossing this nation throughout my life. Sometimes you just have to think outside the box to get what you want. Here’s how I’ve done it, and how you too can enjoy RV living — if that’s your dream. Last year alone I logged over 7,000 miles, traveling first to the northeast colonies, then later in the summer west to the Grand Canyon. The total cost for both trips came to about $1,200. 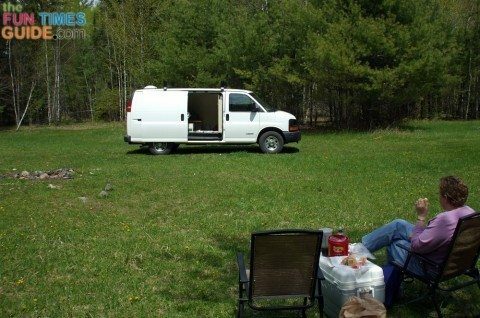 Using my Dodge Caravan, which is converted into a 1-person RV, I spent nights at truck stops along the way and stayed with friends and relatives when I could. I’m retired and now appreciate to travel on my schedule, not being concerned with getting anywhere at a specific time. 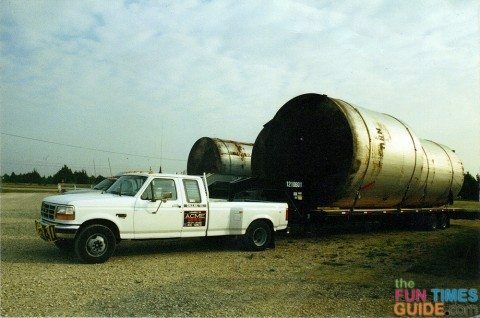 Years ago, when the urge to travel became overwhelming, I hauled freight commercially. Yes I had deadlines, delivery requirements, and load concerns, but I was on the road. I traveled most of the country for 3 years, earning my living while seeing more of the country than I’d ever dreamed possible. 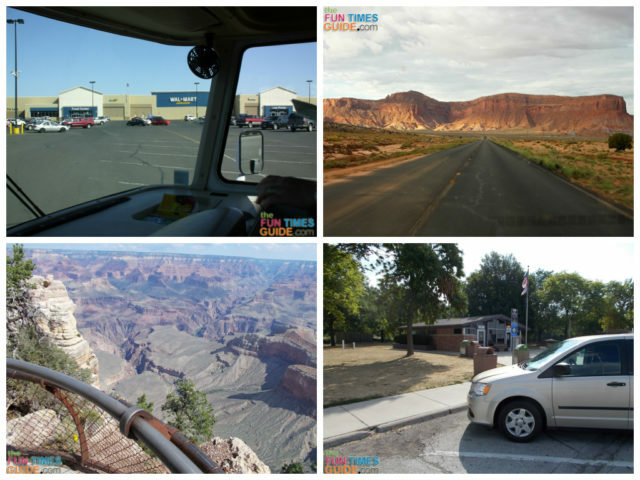 For about a year, I was able to travel in brand new motor homes, all expenses paid. I delivered new RVs from the manufacturer to dealers all over the country. Nothing beats the view out the windshield of a large Class A motorhome, and having someone pay you to take it from Point A to Point B makes it that much sweeter. The cost of fuel today is a major roadblock for long distance travel, when the best you can hope for is about 10 mpg. My diesel pusher is no slouch when it comes to consuming fuel. You can put that cost of fuel into perspective when you think outside the box and spend your nights where you can stay for free, or at a minimal cost. The Internet, and your smartphone can quickly turn you onto everything from the nearest Walmart or RV-friendly truck stop, to Bureau of Land Management areas where you can camp for free for up to 14 days. That cross country trip doesn’t seem so expensive when you can defer the cost of fuel over months instead of days. Stay longer and drive shorter; that’s how you do it. Whatever you can allot per month for fuel can determine how far you drive per week. Plot your course from one free camping spot to the next. Then don’t get in a big hurry to move on. Explore what’s around you at every stop. Stay as long as you can, then move on only as short a distance as is practical. Next winter I hope to spend most of the snow months in Florida. This Minnesota transplant is already researching places I can stay that won’t drain the pocketbook. The Air Force Bombing Range on the outskirts of Avon Park has my attention because an annual pass to camp is only $35. If I want to spend a month near the beaches along the Space Coast, I can expect to pay from $500 to $700, and electricity is extra above that. Go 100 miles inland, and prices become a whole lot more reasonable! Taking a month to get there, and another to get back, means staying at many different Walmarts in many interesting towns that all have their own story to tell you. 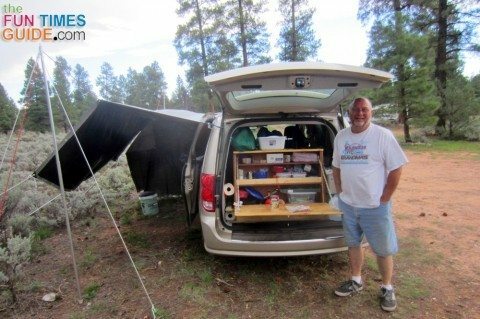 Whether your RV is an old cargo van with homemade furnishings or a comfortable decked out motorhome, having a modest income is no reason to feel long distance travel is out of your reach. If your passion is RV travel — like it has always been for me — there is always a way to do it!